We do laser engraved wall clocks - mostly for the bar. From R140. 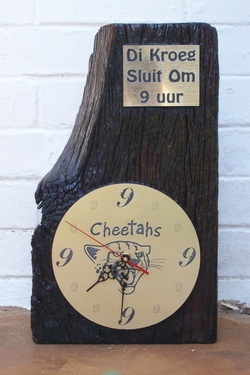 We can also personalize a wall clock with photo engraving to make it unique. Contact us for a free quotation.